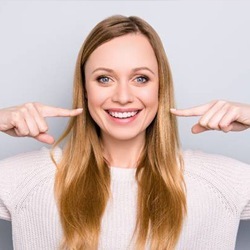 At Woodside Dental Care, Dr. Cornetta and our experienced, compassionate team believe in treating only what’s necessary so that you can regain your confidence in your smile. But sometimes decay or damage to a tooth is severe and requires much more than a filling to resolve the problem. That’s where a dental crown comes in and saves your tooth. A dental crown, also called a cap, is a prosthetic tooth that replaces the crown or part of the natural tooth above the gum surface. When a tooth sustains substantial decay or damage, the dental crown is placed on top of the natural tooth structure or a dental implant, restoring the tooth’s strength and function. In many cases, by using a dental crown along with root canal therapy, Dr. Cornetta can prevent the need to remove the tooth altogether. 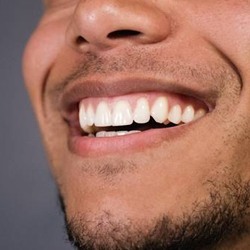 Restoring decayed, cracked, or damaged teeth. Protect a weakened tooth from fracturing. Restore a broken or fractured tooth. Improve the size and shape of a tooth. Cover a tooth that has had root canal therapy. He will prepare your tooth, whether that’s removing the decayed portions of your tooth or shaping the tooth for the crown. Then we will take digital impressions of your teeth, which are much more pleasant than old-fashioned putty impressions. Cornetta will then personally design your crown to ensure that it is visually appealing and well suited for your mouth and place a temporary crown. Your crown will be custom fabricated at a dental lab. When the final product is finished, you will return to our office so that Dr. Cornetta can affix it to your tooth. In as little as two appointments, your tooth could be fully restored! The lifespan of your dental crown largely depends on how well you maintain it, but it can last between 5 and 15 years. By keeping up healthy oral habits, such as brushing and flossing daily and visiting our office for checkups and cleanings twice a year, you can ensure that your dental crown serves you well for a long, long time. At Woodside Dental Care, we are committed to helping you regain your heathy, happy smile. 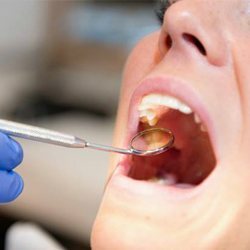 That’s why we do our best to make the process of getting a dental crown as seamless as possible and give you and your teeth the attention you deserve. Schedule an appointment with us today to see the difference our team can make!